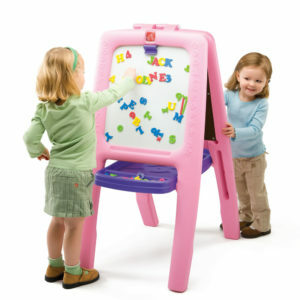 Creative play and exploration is one of the most important steps of a toddlers development. 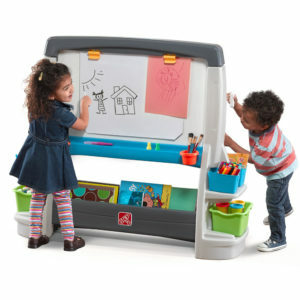 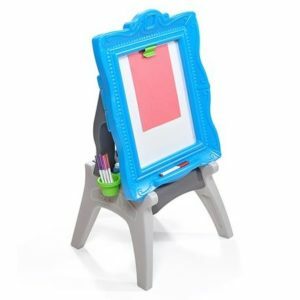 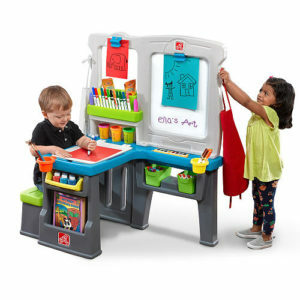 Get organized with one of Step2’s kids’ art desks or enhance their drawing experience with a kids easel. 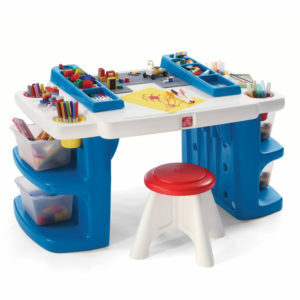 Let their imaginations come to life with our creative kids’ art desks and easels. 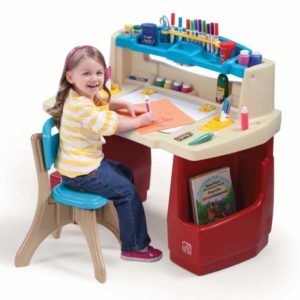 If crayons, khoki's, chalks, paper, cardboard and glue are scattered around your house, one of our items can definitely help you organize your child's creative zone in a fun way. 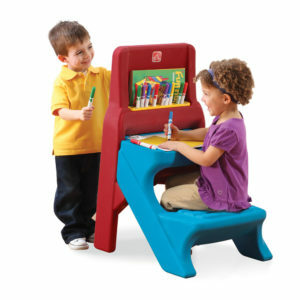 Choose between sitting or standing equipment or a combination with the Art Easel Desk. 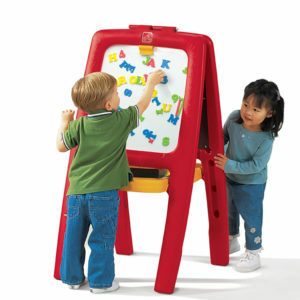 Be creative with friends or play alone.